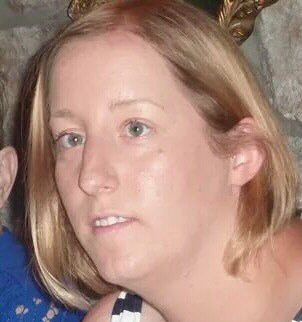 About the Author: Karen Nelligan is 25 years old and from a small town in the south west of Ireland called Tralee. Karen is computer science student and in her final year of study. She has always stammered from when she first began to speak. Karen enjoys traveling and as a result of her stammer going to different conferences it has given her the opportunity to go to different countries around Europe. I have recently experienced once again, one of the great things about being someone who stammers. I got to spend a week with a lot of great people. And the thing that made all these people great, is that we all shared something in which people in my everyday life do not share this with me; we all stammer. Meeting other people who stammer is always something I enjoy doing. It is something that I have become very proud of in recent times. I am somebody who stammers and should not hide it anymore or let it hold me back. I began to first really accept my stammer, be proud of myself, and no longer feel it is something to be ashamed of, when I first went to the ELSA (European League of Stuttering Associations) Youth Meeting in 2011 in the UK. Once again this past summer, I got the opportunity to attend the ELSA Youth Meeting which was held in the Netherlands. Similar to the last time I attended, it is very overwhelming in the days leading up to it, as you are meeting a whole new group of people, and wondering, “How am I going to fit in?”. “Will they like me?”. All of these feelings soon went to the back of my mind once I was there with these people. I soon realized: what do I have to be afraid of, they all stammer like me. They all know what it is like to introduce yourself and needing longer than the normal two seconds to say my name. They won’t judge me if I block trying to say something as simple as my name. As the week progressed, my stammer became the last thing on mind and I found I was stammering a lot more than I usually would, as I was in a safe environment and did not have to hide it. I got to experience this great week with almost 40 people from around Europe who stammer. We did some amazing things that I never thought I would ever do, which included drama workshops where we just let ourselves go and live in the moment. It was about being in the present moment and forgetting the outside world and all the thoughts which were in my head about different things. There were also some other great workshops that included public speaking, which really show you the words you have to say are a very small minority of the message you are trying to say. It is the way you say something that is far more important. The workshop on the rights of people who stammer was also really good as it is good to learn these, but I also liked to hear the views which people had on the topics that were brought up. As for me to understand stammering more, I like to hear other people’s views as well as my own. One of the reasons why I signed up for the ELSA Youth Meeting again this year is that I like to immerse myself in a “Stammering Bubble” as I like to call it. When I was growing up I always saw my stammer as something negative. – I thought I would never achieve anything because of it. That has turned out to be wrong, for as a result of my stammer I have achieved so many things. I have represented Ireland twice at a youth meeting, I have made some great friends from all over Europe, I have won awards as a result of me having a stammer, and other great things, all from attending these fantastic weeks just for us who stammer. After attending the ELSA Youth Meeting I realized that more needs to be done for young adults who stammer, not to hide it or be ashamed to be somebody who stammers. I plan on working with the Irish Stammering Association on helping to set up a network for young people who stammer and help spread the word that it is ok to stammer. Thank you for sharing your story. My name is Tessa, and I live in the United States. I never heard of ELSA before I read your article, but it seems wonderful. In your article you talked about how at ELSA you felt like you were immersed in a stammering bubble. It sounds like the stammering bubble is a place where you feel safe and free to express yourself. I am not a person who stammers. However, I would like to work with people who do. How do you think I could create a safe environment, like you discuss, where people who stammer feel comfortable and free to express themselves? Thank you for your comment, I guess to start off, just been with other people who stammer is been in a safe environment for me. Even though I have come to terms with my stammer and have accepted it there is always the fear of how when meeting somebody new how will they react to me saying my name as it is the one thing I have not conquered to say. With the ELSA meeting this year it was set in the countryside and just had contact with other people who stammer as we were away from “civilization” or the “norm of fluent speakers” I think that is why I refereed to it as a bubble. In my personal opinion a safe environment would just be where the person feels safe and confident in themselves whether it is a room with others who stammer for a chat over coffee or like ELSA at camp. So once the person feels most confident and not afraid to hold back I think would be a safe environment like for me growing up it was always at home now it is travelling to different places on my own, the safe environment grows as the person does. Hope that answers your query. I enjoyed your article Karen. The sense of community if the stuttering family almost sometimes makes the daily struggles worthwhile. I hope your work with the Irish stammering association is going well. Knowing there is a stammering family there in which we fortunate to be apart of is always good paddy, there is many more out there than don’t know about the support that is there which we give each other. Tessa, I hope you don’t mind me borrowing your question, it just exercises my thoughts exactly. I am currently working closely with two students who do stammer. I want to create an environment that feels “safe” where they are open to discuss even their deepest thoughts or reasonings (if they feel the desire to do so). As a therapist who does not stammer, what is the best route to ensure this? To elaborate on what i replied to Tessa, I think in order for the person to discuss feelings and thoughts, for me when I began to feel confident in myself is when I realized okay i’m not going to judged and then once I opened up realized the others had pretty much the same experiences and thoughts as I did, that is when I felt I was in a safe environment. The most important thing is no two people are the same and would consider “safe” as been two different things or places. I reckon from what I have experienced been around many different people who stammer is when a sense of trust is present it is also very easy to feel safe also when you are comfortable in the surroundings. It is wonderful that you found a group of people that you can relate to and that you plan to return to the ELSA Youth Meeting again this year. I am sure each time you visit you will gain new knowledge and learn more and more about yourself. You mentioned that the program held a “workshop on the rights of people who stammer”. Could you please provide more information about the workshop? What topics were discussed? And which topic did you feel was the most important? Thank you for sharing your experience. I too am curious about the workshop for rights of people who stutter. What types of rights do you feel are important to uphold for people who stutter? How do they differ from the rights of any other person? Thank you for sharing your experience with ELSA. I has never heard of it before. I am from California, USA and am currently studying to be a speech pathologist. There are National Stuttering Association support group meetings for people who stutter here in the U.S. and I have been to a few. There are young adults who attend, as well as older adults. I do not stutter, but it has been a great experience meeting many different people who stutter. They are so open and willing to help us future speech therapists learn from their experiences so that we may better serve our future clients. At the same time the NSA support group meetings are like their own personal bubble, too. I just hope I can create an environment like that if I ever have the opportunity to work with a person stutters. I loved your article. ELSA seems like a wonderful event. I think that being in a place where you are surrounded with people who not only respect your struggle, but understand your struggle is a very healing environment for anyone. We all have our own difficulties that we are given in life, but the ability to rise above them gives us a unique opportunity to teach and share with others in ways we could not if we did not have those experiences. Being in a loving, accepting environment is really important. I am happy that ELSA provides that. Lots of times it is just ignorance (lack of understand and experience) on the other end that makes people in society react in undesirable ways. It is also important to remember that other people do not have the experiences that you do, and if they did, just imagine what a different perspective they would have. Thank you for being such an empowering woman and following your ambitions. Thank you for your kind words. What you just said are my taughts exactly. As a future speech-language pathologist, I like many others, am hoping to help create a safe, and comfortable environment for my clients. Thank you for sharing your thoughts and personal experience with us! I was wondering if you received speech therapy when you were in elementary school (school age) and if so, can you remember anything that was particularly helpful for you? It is really great that you have the ability to meet new people at the ELSA meetings and get to travel throughout Europe! How old were you when you first began to stutter and how long have you been receiving speech therapy? In which environments do you find yourself most likely to stutter? Also, which qualities of your speech-language pathologist have helped you most improve your stuttering? My name is Michael, and I am a speech therapy student in the United States (North Carolina). I have never been to Ireland, but based on pictures I have seen it seems to be one of the most beautiful places to live. Also, pursuing a career in in computer science is a very impressive field that will benefit you well, and will allow you the opportunity to travel. I think it is great that ELSA provides a safe and inviting event that brings together people sharing similar experiences. I am sure that it is wonderful to surround yourself with people who embrace and understand stories that have shaped the person you have become. You mentioned that you experienced more “stammering” as the week progressed, and that you want to help others. With that in mind, how do you feel ELSA will contribute to you as a successful communicator in the future? What do you want ELSA to provide others, beyond the “Stammering Bubble”, who are experiencing similar characteristics in speech fluency. Thank you for sharing your experiences with us. One thing I am learning from this conference is that many people who stutter have evolved from having negative feelings about their stuttering to being able to find a wonderful, fulfilling community through stuttering associations. It is amazing to read about so many positive experiences like yours! I am studying Speech-Language Pathology, and one of the ideas that is stressed in our program is to create a positive environment within our therapy session, much like you talk about with your experiences with ELSA. Being in a group of people who share similar experiences has so many benefits. Do you think that group therapy sessions would be more beneficial for people who stutter, in order to create a positive, inclusive environment, similar to ELSA? Thank you and good luck with your studies! I think it depends on the specific person whether group therapy is for them or not, from my own experiences and others I know been in a group situation can be very beneficial to them. Thank you for sharing your experience with ELSA. It sounds like a wonderful organization. You had mentioned you had won awards as a result of your stammer. What were the awards for? And congratulations on them! That’s fantastic! What a great idea! I like your description of the ELSA Youth Meeting as a “Stammering Bubble”. For me that sounds like we succeeded in offering an environment for young people who stammer in which they feel safe. An environment which could be totally different from the ‘normal’ World. One of the aims of ELSA is not only to offer this during one week, but to motivate participants to be more open about their stammering and to not hide it. The feeling you get at the meetings gives you strength and motivation to change things in life. At least that’s how I have experienced it when I participated in 2003. It would be great if you could work together with the Irish Stammering Association in setting up a youth group there. As you know, because of changing funding regulations, ELSA will only be able to host future meetings when there are youth groups in the member countries. The next meeting I’m expecting you to put forward some new Irish participants who then can experience what we have all experienced in the past. I am a graduate student in the USA studying to become a speech language pathologist. Thank you for sharing your experience with us. I’m happy to hear that spending time with people who also stammer improved your life and your perspective on stammering. It’s so wonderful that opportunities like ELSA are available to help young adults find others to relate to and build up their self-esteem. Thank you for the inspiration!